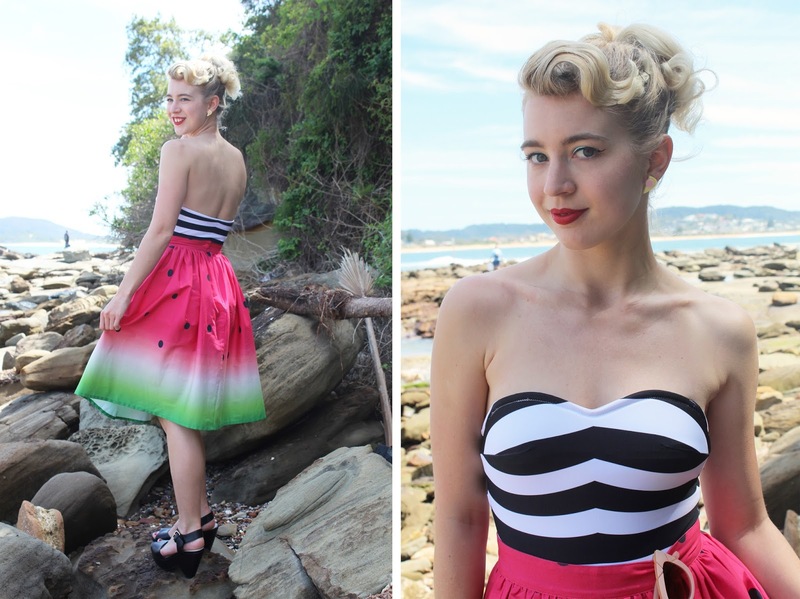 A Barbie swimsuit and a watermelon skirt, I'm obsessed! 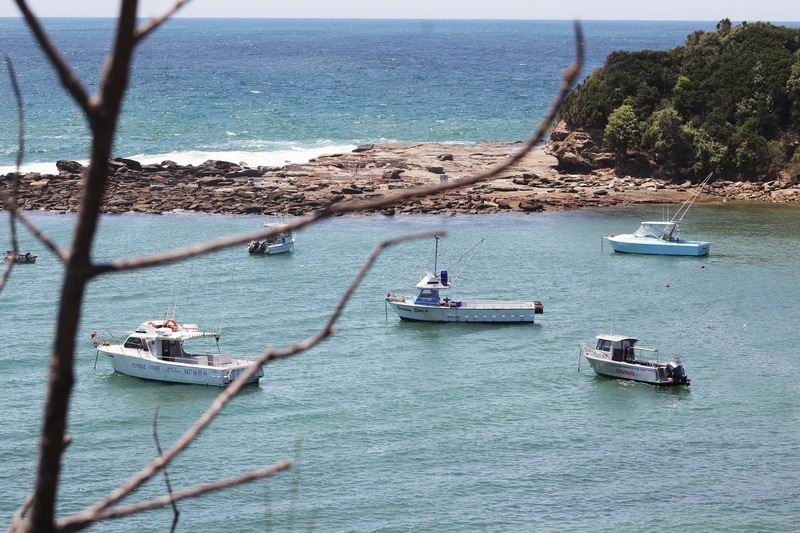 Last week I went to one of my favourite local beaches with mum and the dogs, after being extra busy the past month or so we were all excited to finally be back. We went for a big walk, Fifi & Leo met lots of dogs, we stopped for fish and chips, looked at our favourite beachside stores (Fifi always insists we do a bit of window shopping - she loves it, it's hilarious) and I had a quick dip in the water before heading home. By the way, this was the outfit I mentioned a few posts ago that I was really excited about wearing and blogging. 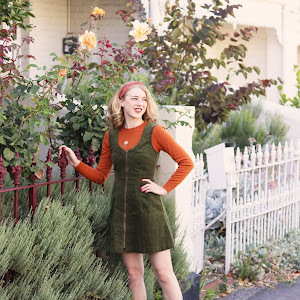 The weather was beautiful which made it the perfect opportunity to wear this Unique Vintage outfit! I have collected Barbie dolls since I was a young girl and I have the reproduction doll of the original Barbie who wears this iconic swimsuit, so I was basically living out a childhood dream to have a swimsuit like Barbie. I am wearing size small and find the fit to be consistent to previous UV swimwear I have featured on the blog. If you have a bigger bust or you're in between sizes I suggest sizing up, the UV size charts are usually very accurate though. I have quite a long torso and worried this one piece may be too short for me but after wearing it out all day it seemed to be fine once it was worn in a bit. This swimsuit also features a halterneck strap; I removed this for the photos and my dip in the ocean as I wanted that true original look. My hair is a bit different to Barbie but this is my take on it and it is very practical for a walk - I like to think that my fringe this particular day represented the waves or maybe it was just a good fringe day, who knows haha! 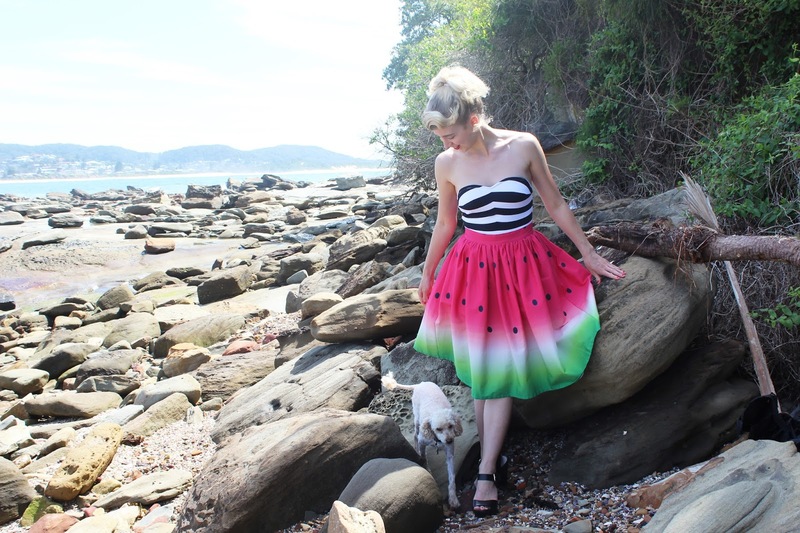 I always like to pop a beach dress, cover-up or skirt over my swimwear when I go for walks and I thought what could be more perfect than this summer fruit watermelon skirt?! I had my eye on it for months and finally decided to try it out. The skirt is a perfect fit, the fabric is beautiful and it has huge pockets! 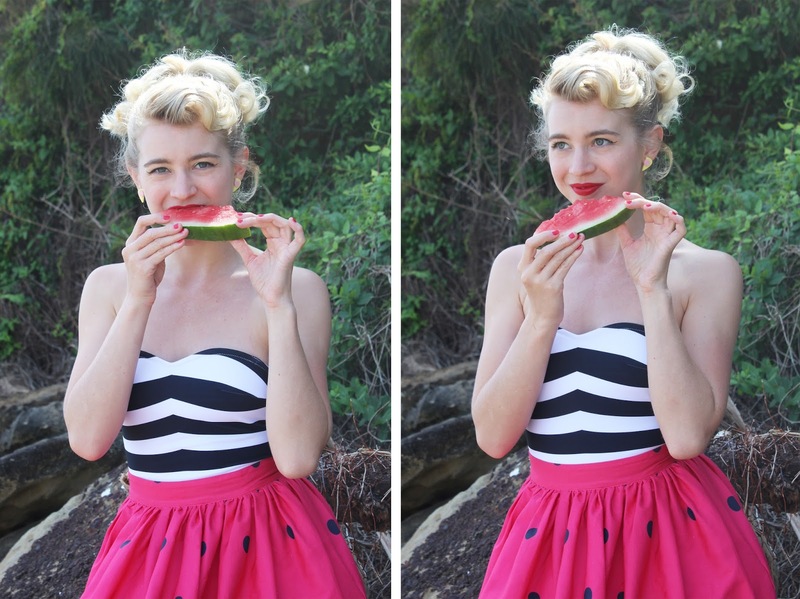 I packed some watermelon for the photos and to eat, as you can see the watermelon started to disappear. There were some not so pretty photos of me eating it and forgetting for a few moments that we were taking photos haha. I'm hoping for more sunny weather this week so I can pop out in the afternoons for a walk and in some outfits that I have been waiting to wear! Dear you are stunning!! 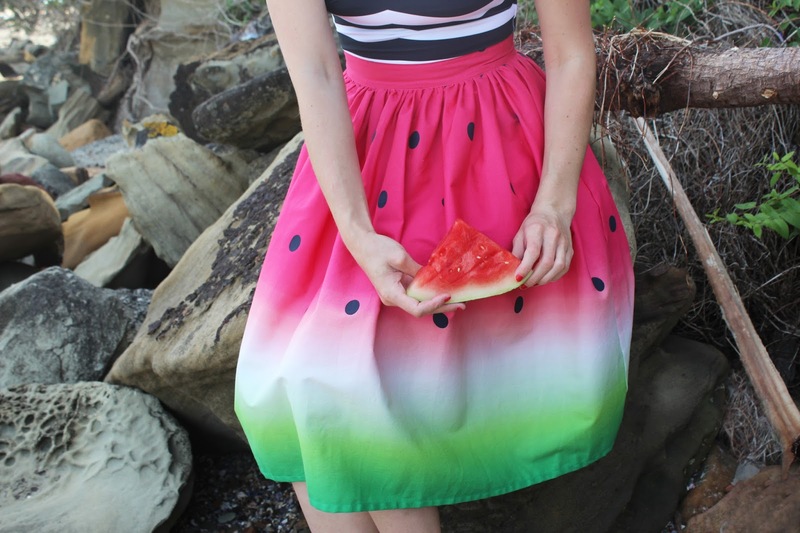 The skirt, the beach are amazing and the last photo is a dream. Kissssss from Spain!! Look at you!! You are better than Barbie! 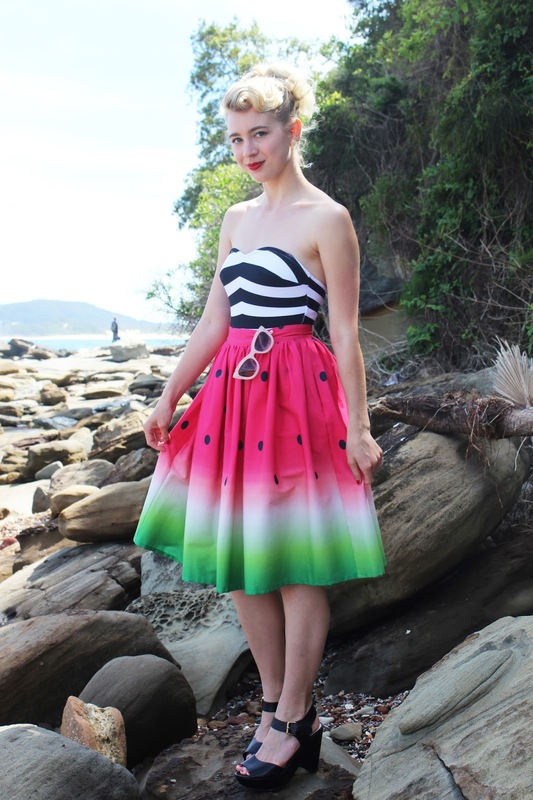 This swimsuit is adorable, you look fantastic, and the watermelon skirt is such a clever pairing!! I love this post! That last shot is just jaw dropping! 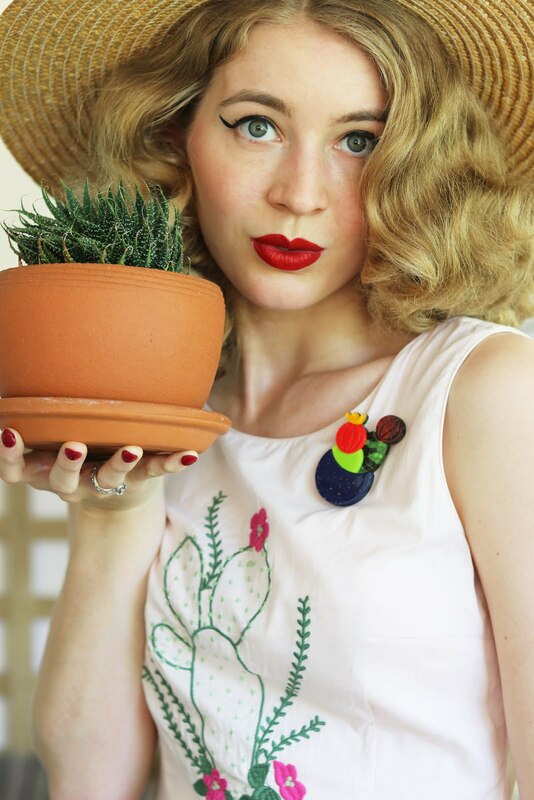 You look like the perfect 1950s Barbie in this, the suit *cough* suits you to a T.
So fantastically perfect. Love these two together and love this bathing suit on you! You look just like Barbie in it. 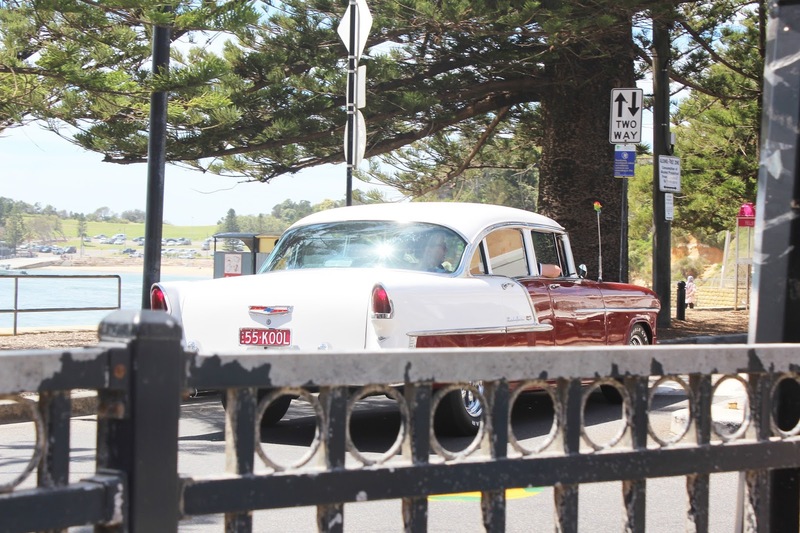 You definitely do look just like the vintage bar i.e.! I have the reproduction barbie too and you are just as fab in your swimsuit! Love the whole look and the blue eye make up finished the look perfectly!